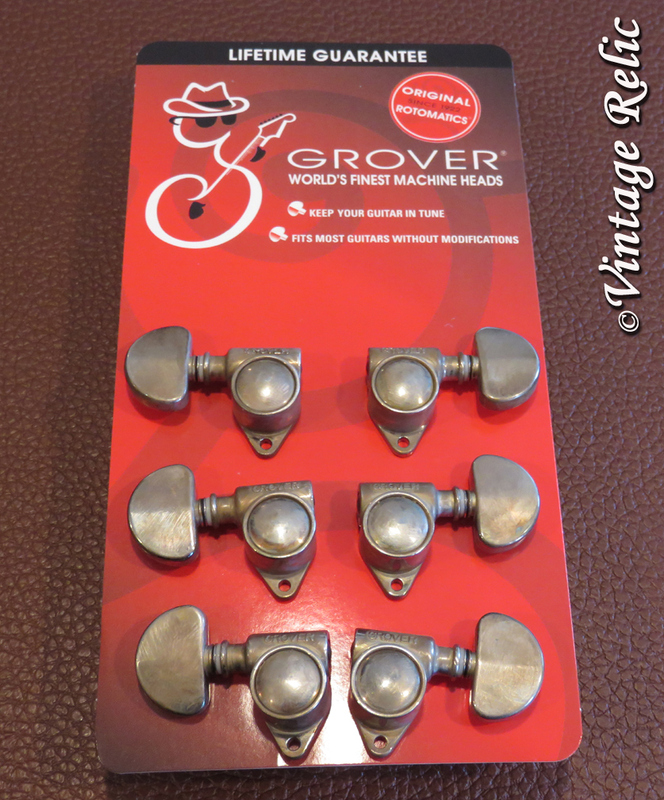 "Grover Tuners 102NV Milk Bottle Nickel Aged"
Vintage Relic aged Grover Rotomatic Tuners tuning pegs fits / compatible with guitars with 10mm headstock tuner holes such as some Gibson Les Paul 335 SG Standard Historic Custom Shop. 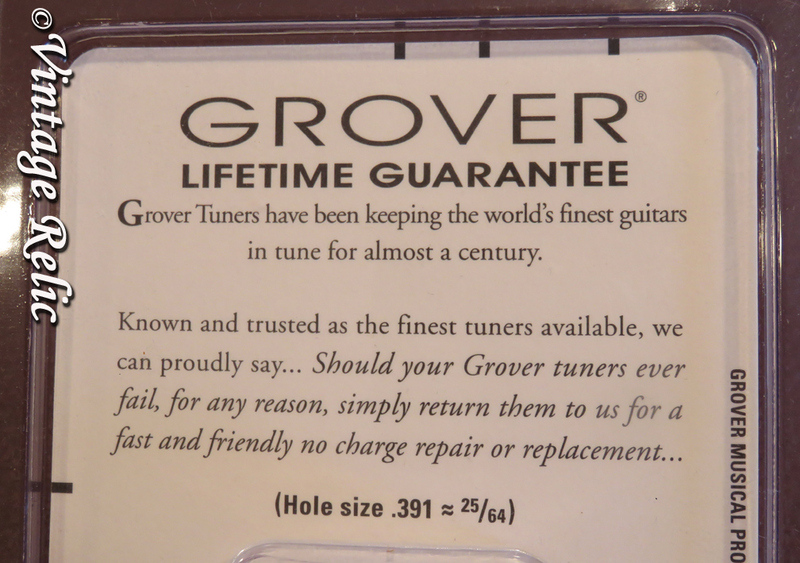 Also used on Martin and other acoustic guitars. 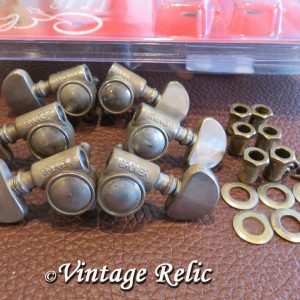 If you have a Gibson Historic or other guitar with vintage spec Klusons (8.8mm post hole), you will have to increase the post size to 10mm (we suggest a simple hand reamer tool). 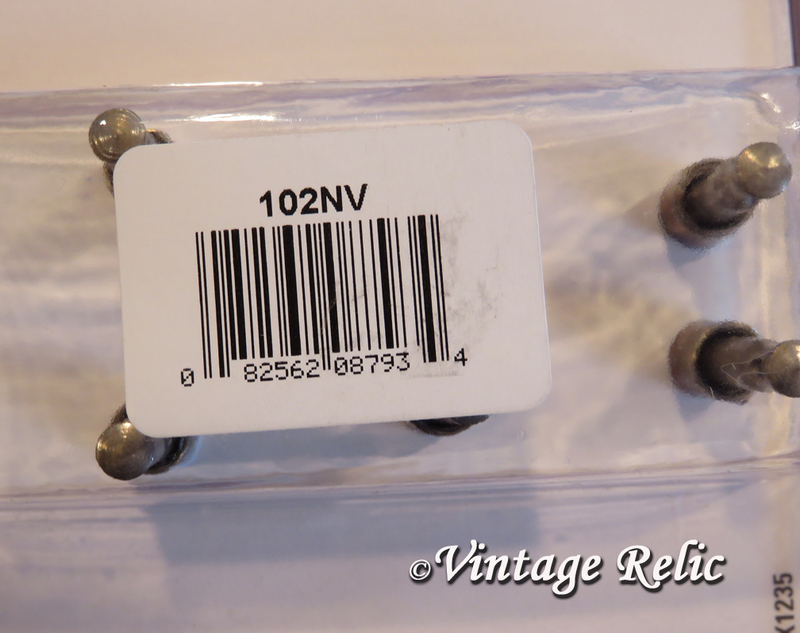 Model 102NV "Milk Bottle", 3 per side (3L, 3R), nickel, 18:1 gear ratio. 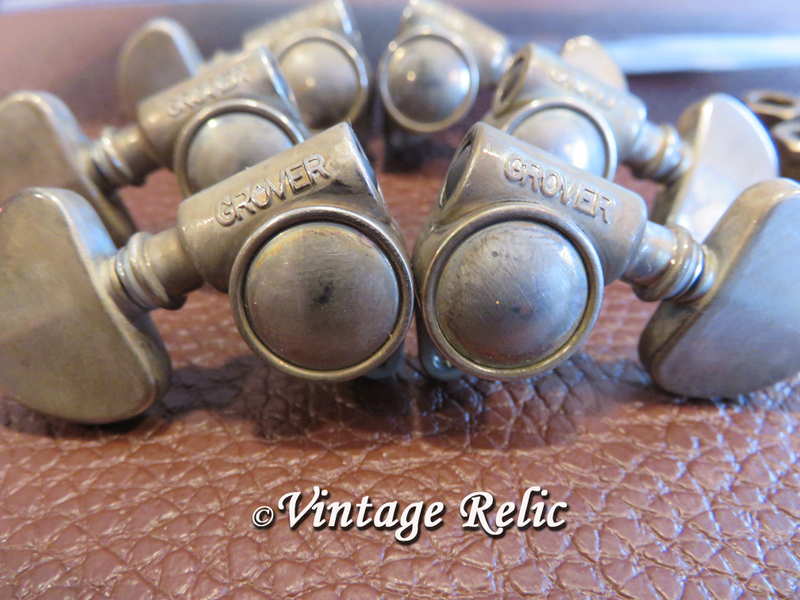 Includes 6 tuners, 6 bushings, 6 washers and 6 mounting screws in original packaging. 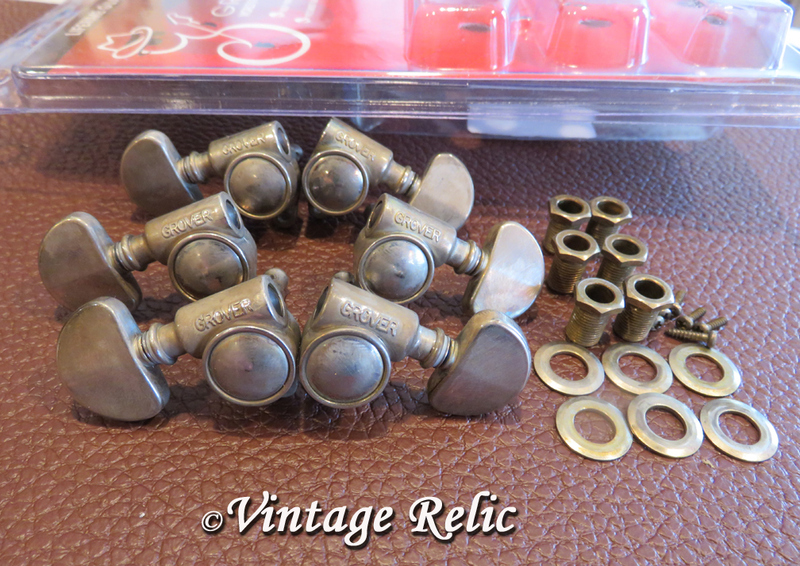 These are brand new, recently aged distressed relic'd by us for a 1950s 1960s vintage look. 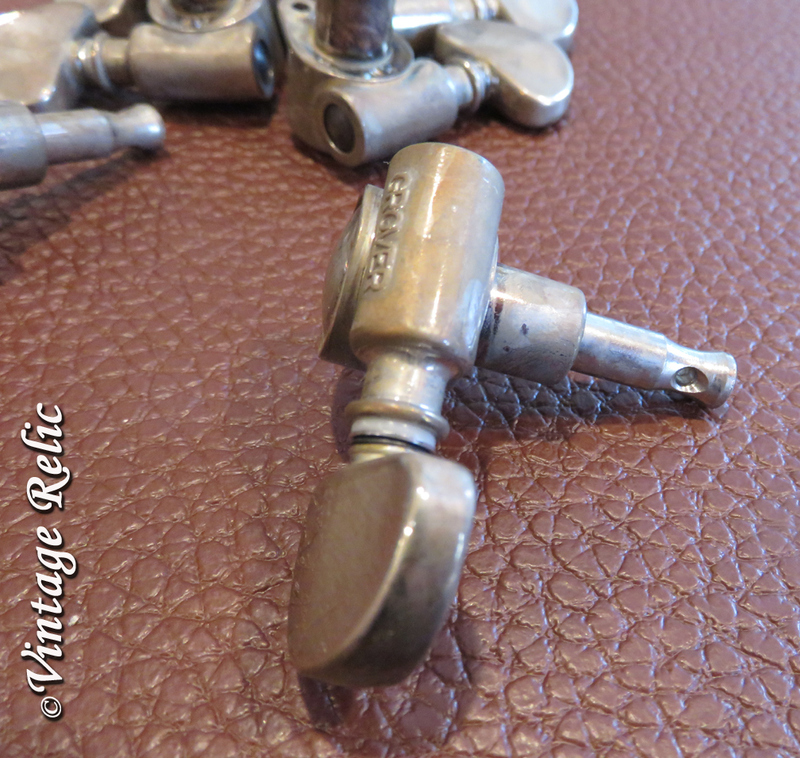 The original Rotomatic look, with distinctive "milk bottle" profile on the worm gear housing. 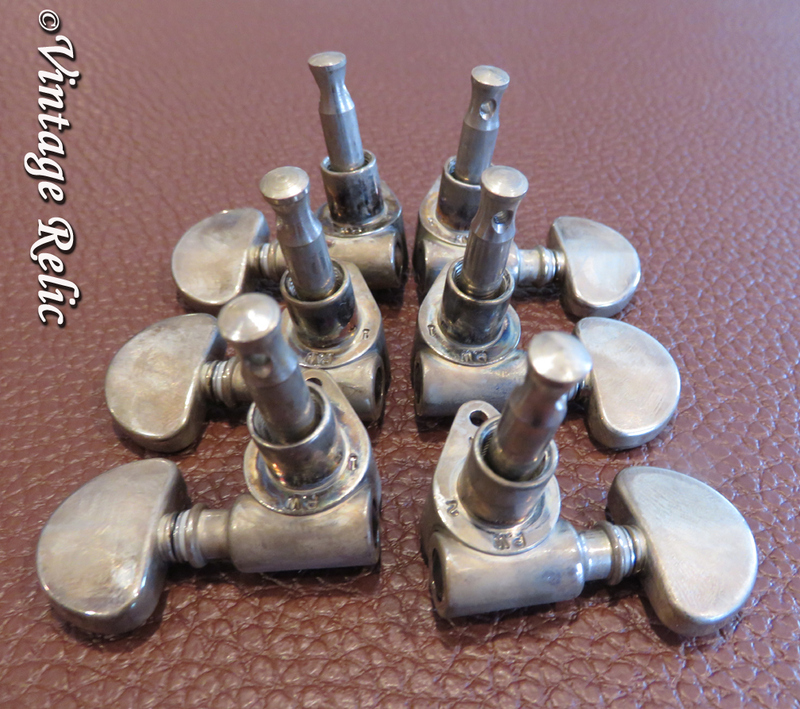 For 3-left/3-right solid pegheads. 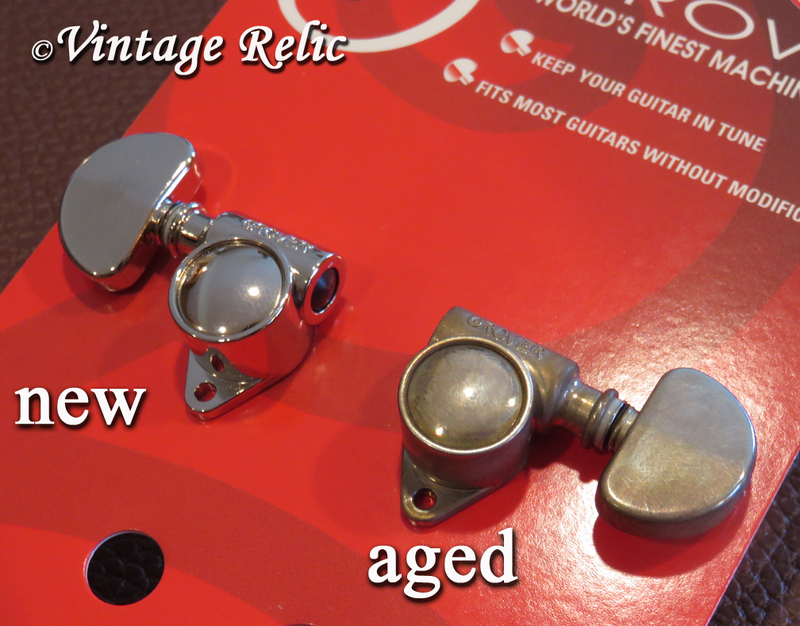 A great solution for restoring '60s and '70s guitars to their original appearance. 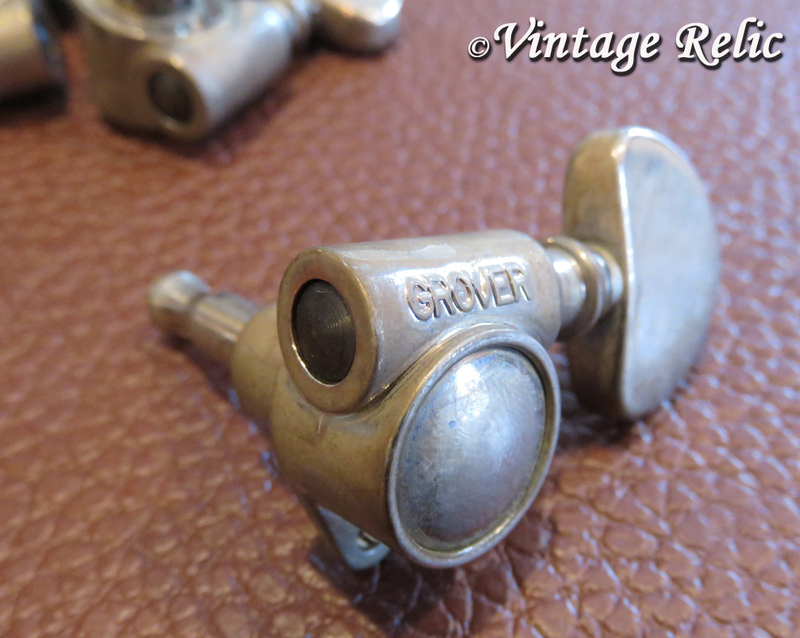 All Grover Rotomatics feature adjustable knob tension, cast housings and sealed lubrication. 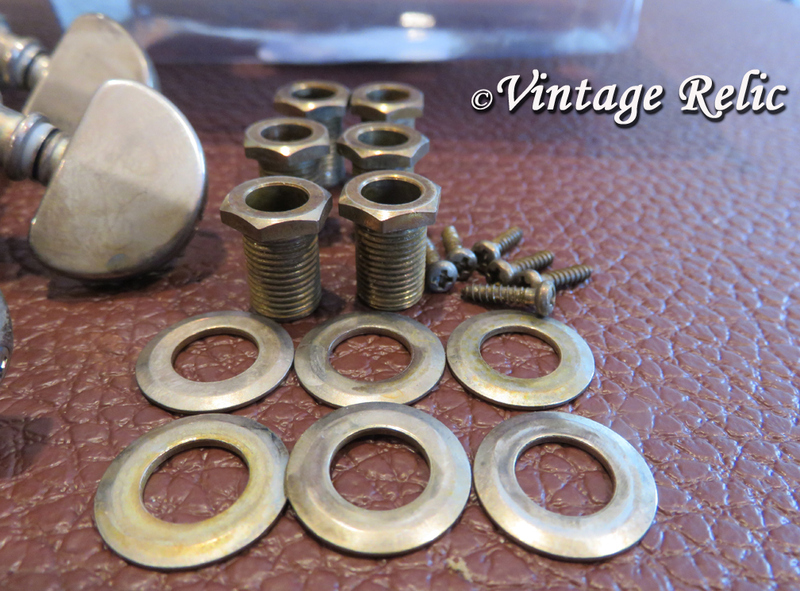 Sets of 6 (3-left/3-right) with threaded hex bushings, washers and mounting screws.